A US non-profit which campaigns to make statutes, case decisions and government documents freely available to the public, has been sued by the state of Georgia for violating copyright law after distributing an annotated version of Georgia’s code. The Public.Resource.Org, founded by an open-records activist Carl Malamud, is being sued for violating copyright after republishing the Official Code of Georgia Annotated , which the state argues is drafted on a paid basis by a third-party legal publisher. “This action for injunctive relief arises from Defendant’s systematic, widespread and unauthorized copying and distribution of the copyrighted annotations in the Official Code of Georgia Annotated (“OCGA”) through the distribution of thumb drives containing copies of the OCGA. and the posting of the OCGA on various websites,” alleges the legal complaint filed with the court this week. The state of Georgia does not assert that it is a copyright violation to publish the text of the statutes themselves, “since the laws of Georgia are and should be free to the public.” However, it is the redistribution of “unauthorized derivative works containing the OCGA annotations,” that is making the state believe that Malamud should be liable. The prosecution argues that Public.Resource.Org by “re-keying the OCGA” defendant allows to make it “possible for members of the public to copy and manipulate the OCGA, thereby also encouraging the creation of further unauthorized derivative." The state believes that each annotation is an “original and creative work of authorship” that is protected by copyrights and owned by the State of Georgia. “Without providing the publisher with the ability to recoup its costs for the development of these copyrighted annotations, the State of Georgia will be required to either stop publishing the annotations altogether or pay for development of the annotations using state tax dollars,” the legal document says. The State notes that LexisNexis makes the text of the Georgia statutes freely available online at www.legis.ga.gov, and therefore Malamud and his website should not be engaged in distributing the copyrighted material, especially after Malamud ran some crowdfunding campaigns for his non-profit. “Defendant’s founder and president, Carl Malamud, has indicated that this type of strategy has been a successful form of ‘terrorism’ that he has employed in the past to force government entities to publish documents on Malamud’s terms,” the civil action lawsuit reads. Georgia is seeking to prohibit both the copying and use of its copyrighted material in derivative works. The state also seeks to confiscate the material as well as collect attorney’s fees and costs, as it tries to stop the non-profit's “crusade” to share public information. 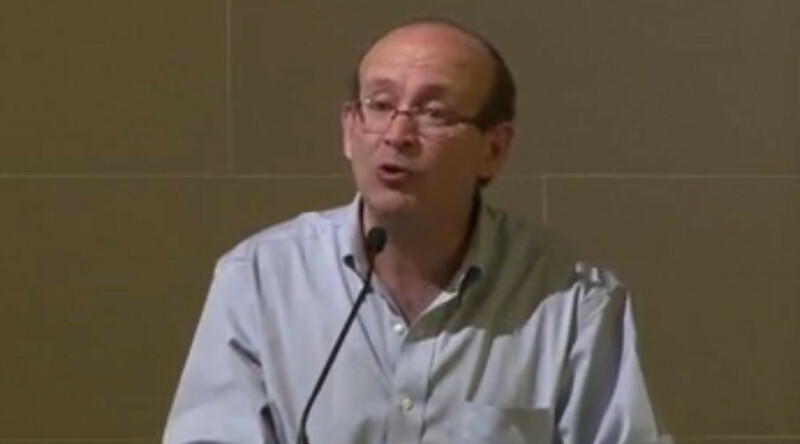 Prior to filing the current lawsuit, back in 2013, the state issued warnings to Malamud and Public.Resource.Org to stop their redistribution activity. Replying to original legal threat, Malamoud said that the law belongs to the people and the State has no right to prohibit his organization to share information. “It is a long-held tenet of American law that there is no copyright in the law. This is because the law belongs to the people and in our system of democracy we have the right to read, know, and speak the laws by which we choose to govern ourselves. Requiring a license before allowing citizens to read or speak the law would be a violation of deeply-held principles in our system that the laws apply equally to all,” he said in July 2013.